This was always going to be a very difficult game against a side not so far removed from Saints and coached by Steve Bruce, who is an excellent manager and was not a bad player back in the day either. Saints have earned a reputation as a free scoring side, with goals coming from all over the team. However, today we saw a completely different type of Saints team. Today they defended for large portions of the match, all the while looking for Hull to present them with an opportunity to score. Saints did take the bit of luck served up in the third minute, when Jakupovic, the Hull 3rd string goalie, cleared from the far left of his penalty area. 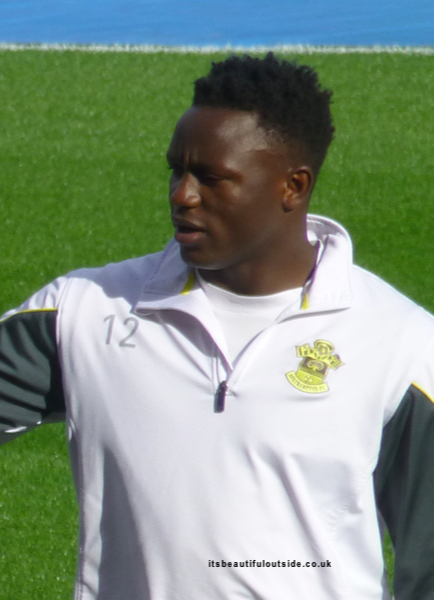 Unfortunately for him the ball landed at Victor Wanyama’s feet and although at least 40/45 yards from goal, Vic sent a piledriver shot straight back at the empty Hull net and it was 0-1 to Saints. I saw Garth Crooks describe this as ‘a delightful chip’. I don’t know what on earth he was watching, but this was a shot with power and control. For the rest of the game Saints soaked up the pressure from Hull, so successfully that the home side only managed one shot on target during the entire game. At the same time Saints managed to fashion real chances themselves, including Davis having Jakupovic make a point blank save from him, Mané missing when right in front of the goal and, in the last moments of the game, Pellè hitting the side netting when it looked easier to score. 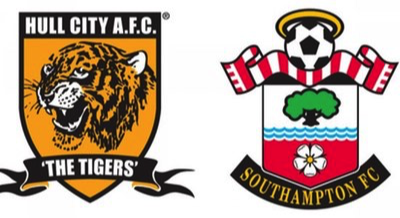 A two, or three nil scoreline would have been a more accurate description of Saints dominance. This was an impressive away performance, particularly from Saints back four, against a Hull side, who have gained some decent results recently. I was particularly impressed with Alderweireld, who I didn’t see make a single mistake all game. His partner in the centre of defence, José Fonte, just seems to go from strength to strength and looks every inch the on field captain that he is. Both full backs seem to be growing in stature with each passing game and I wonder if the secret to the fact that Saints have only conceded five goals in the Premier League this season (which is five fewer than Chelsea), is that they now have a well balanced quartet of experienced players? Once the shock of the initial goal had worn off, Hull came at Saints in waves of crisp, accurate passing. The sort of thing we Saints fans have come to expect of our team. Clyne, Fonte, Alderweireld and Bertrand just did not give them a sight of goal though. Having weathered that initial storm, the more the game went on, the more comfortable Saints looked, content to let Hull have possession in their own half and then picking the ball off as it moved into the Saints half. Up to half time it was close, with Hull always trying to work an opening, but after half time it was a different matter and Saints just managed the game, slowing play right down at times. It was a joy to watch. Make no mistake, this team have more than one way of playing and today we saw a confident defensive display. This is all good practice for the perfect storm of fixtures to come. So, a perfect end to a run of three games in eight days, with two of those away games. They can now think about Leicester at home next Saturday. I can’t help thinking that the early run of fixtures have been absolutely perfect for Koeman, giving him time to bed the new players in and getting everybody used to his tactics and expectations. By the time we meet up with Man City and Chelsea the team should be a well oiled machine. And we still have Ward-Prowse and Rodriguez to come back from injury. As for me, I cannot remember ever enjoying watching Saints so much and that stretches back to the early 1970’s. There may have been individual players that were as good, or better than those we have now, but this is the best team by some margin.